POF, in conjunction with the National Federation of Opticianry Schools (NFOS), is pleased to offer ABO and NCLE live Exam Prep Courses. These live ABO/NCLE exam preps are 6 hours each and are conducted by full time Opticianry program instructors who will review the exam materials and assist you in your exam preparations. Instructors will answer your questions and help you prepare by studying appropriate materials in advance of your exam. HOTEL RESERVATIONS: A reduced room rate of $99 will be available to our group. You can make hotel reservations by calling (727) 726-1161 and advising the hotel you are with POF/ ABO & NCLE Review Group to receive the reduced rate. IMPORTANT NOTICE: POF and all other exam review courses can only be a part of a comprehensive study program. Successful exam candidates have used these POF exam review courses to answer questions and solidify knowledge gained by studying the recommended materials in advance of the reviews and exams. Both ABO & NCLE exams cover vast areas of knowledge from years of experience. We strongly recommend that you use this review course in conjunction with adequate individual study of quality review materials. POF’s recommended study guides for both the ABO and NCLE exams are available on the POF MarketPlace of this website. Register online, by phone, or mail or fax in our convenient PDF Registration Form. We are looking forward to seeing you and your colleagues at Safety Harbor Resort & Spa for another Professional Opticians of Florida exceptional education weekend. Earn all 20 required hours of education from highly respected practitioners and recognized industry leaders. You can look forward to multiple educational options every hour so that you can choose the topics and a schedule that fit your needs. There will be eight hours available on Friday and Saturday and five on Sunday. We have scheduled a full, education-packed weekend for Opticians, Apprentice Opticians, and Student Opticians. Due to the popularity of this event's destination, Safety Harbor Resort & Spa is sold out. 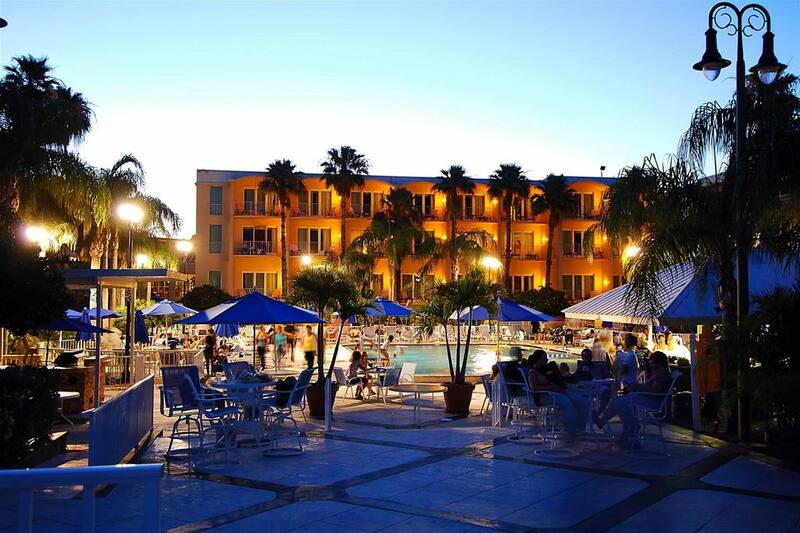 We have a limited room block at the Fairfield Inn & Suites in Clearwater for only $119 per night. This price includes a delicious daily continental breakfast. The Fairfield Inn is a short 7 minute drive (2.8 miles) from the conference. Make your Fairfield Inn Reservations here! 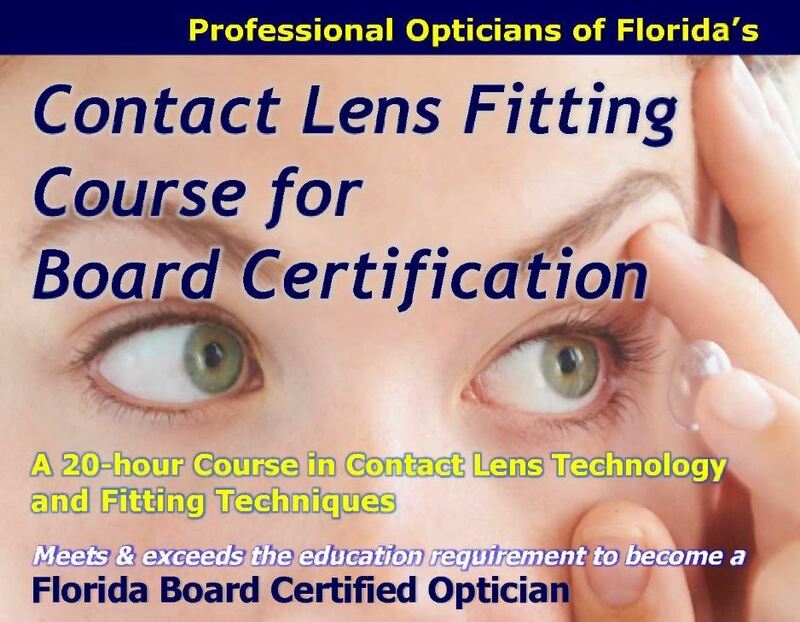 A 20 hour course covering state-of-the-art contact lens technologies and fitting techniques presented by the Professional Opticians of Florida. * The advance webinar on Monday night allows for the course to end Sunday at noon instead of at 5:00 pm. 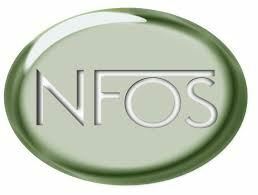 POF has established a hotel rate of $99 per night will be available to our group. A reduced room rate of $99 per night will be available to our group. You can make hotel reservations by calling (888) 237-8772 and advising the hotel you are with West Coast Better Vision/ POF Group to receive the reduced rate. 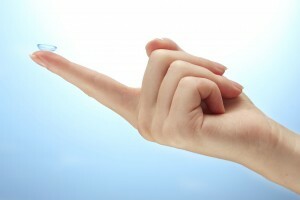 Professional Opticians of Florida (POF) and the Contact Lens Society of America (CLSA) have combined their experience and resources to offer a contact lens program designed specifically for Apprentice Opticians in Florida. This new 32-hour course will be offered in two parts: 13 hours of on-line training, plus 19 hours of live and hands-on clinical training offered at this conference. The first part of the program is delivered on-line and covers contact Lens theory in carefully designed modules that can be completed at your own pace and in advance of the live hands-on clinical Part 2. This part of the program is offered as a clinical workshop model, which is delivered over a three-day weekend. You will spend nineteen (19) hours with highly skilled contact lens instructors learning the key concepts of Contact Lens fitting firsthand. Be sure to register for the Certificate program now and complete the 13 hours of training online in Part 1 before Thursday, May 16th to be eligible to take the clinical workshops listed above. For additional information on any of these Apprentice Training programs or to register, visit: POF.org/apprentice. Professional Opticians of Florida is proud to present the Florida State Board Exam Prep at West Coast Better Vision 2019. This course is designed to prepare the Apprentice Optician, Student or Licensed Optician from another state that already has their ABO and NCLE certifications to take the National Commission of State Opticianry Regulatory Boards (NCSORB) with confidence. 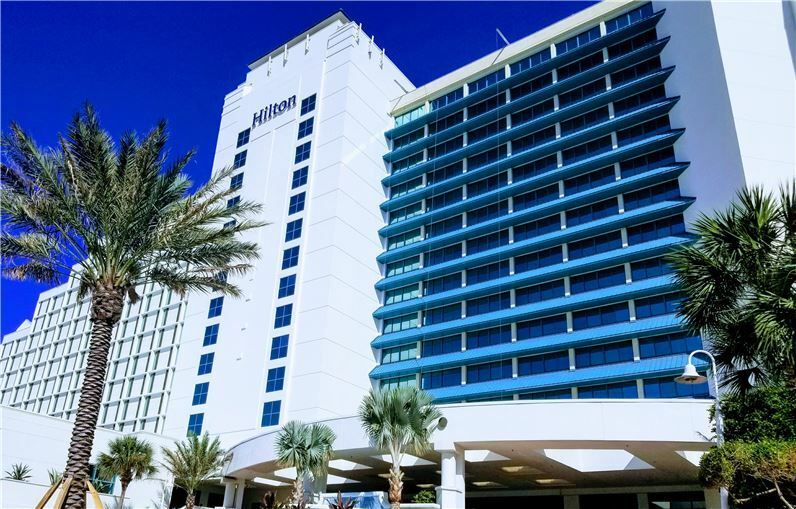 Your friends at Professional Opticians of Florida look forward to you joining us at the Summer Showcase 2019 as we make our new home at The Hilton Daytona Beach Oceanfront Resort! We put together the best educational speakers in Opticianry for this weekend event. 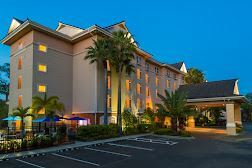 Please call The Hilton Daytona Beach Oceanfront Resort toll free 386-254-8200 and ask for the Professional Opticians of Florida group rate of $139 per night, or click below to book online. All Florida Apprentices are required to attend an approved two-hour Apprentice/Sponsor Orientation course within one year of registering for their program. This webinar will fulfill your orientation course requirement and it includes the latest requirements, current deadlines, new exam updates and educational options for Apprentices. A limited number of spaces are available during the webinar, and they will be offered on a first-come first-served basis. Sponsors of Apprentices can participate on the space available basis, however, this webinar will NOT be available for CE credit to Florida Opticians. This webinar is FREE to all Future Optician Members of POF and the standard rate of only $29 for Apprentices that are not members of POF. Join POF as a Future Optician Member for only $45 a year for the many benefits, including this Webinar and the online Reduction of Medical Error course at no charge (both $29 values). This year's Vision Preview 2019 will be hosted at the beautiful Pier Sixty-Six Hotel & Marina. 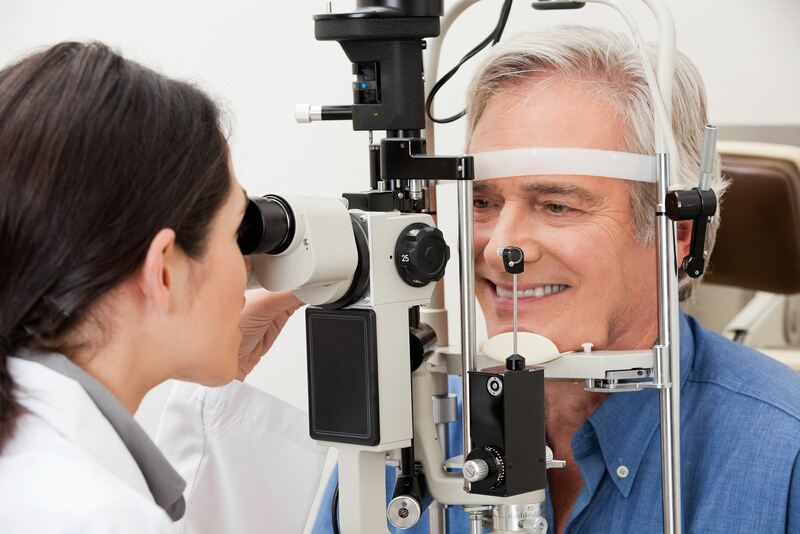 Vision Preview 2019 offers you the best Optical Education available anywhere, you can earn all 20 CE hours in one weekend for the renewal of your Florida license. Here are just some of the benefits for you at this location. Vision Preview offers you the best in Optical Education available anywhere. HOTEL RESERVATIONS A reduced room rate of $149.00, Parking is $20 per day. You can make hotel reservations by calling (866) 908-5094 and advising the hotel you are with group G-POFV to receive the reduced rate or click below to book online. Exhibit booth fee includes a 8' by 10' booth. 1 sign and 4 representative name badges per show. Additional representatives are $25 each. Electricity is NOT included . Hotel accommodations are not included. Exhibit move in at 8:30 am Saturday morning of the event and exhibit breakdown starts no sooner than 7:00 pm, to be completed by 10:00 pm that evening. Exhibit times are Saturday from 11:30 am to 2:00 pm & 5:00 pm to 7:00 pm. Click here to download the 2019 POF Exhibitor Agreement.